how to update protocol 2.0? You can use R+Motion 2.0 to control MX-106(2.0), but there are certain conditions to meet. 2. 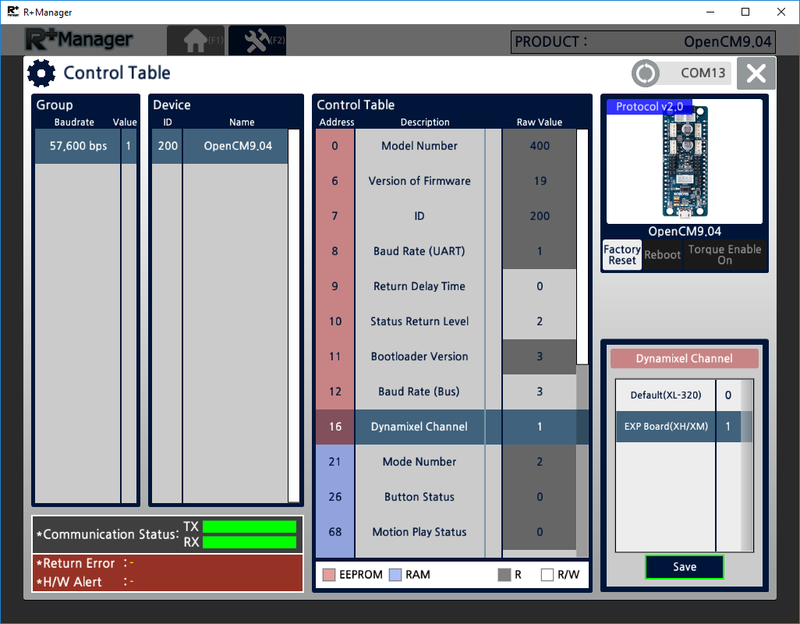 Change the Dynamixel Channel(16) of OpenCM9.04 to 1 from R+Manager 2.0. 4. Supply proper power to OpenCM 485 EXP board. Unfortunately, R+Motion 1.0 does not support Protocol 2.0 so you need to use R+Motion 2.0 in order to use MX-series with protocol 2.0.